After updating to Windows 8.1, I can no longer click while holding down a letter on my keyboard. Will the Razer Blade Pro come with Windows® 8.1? Will it be a free upgrade? Yes, the upgrade to 8.1 is free and downloadable directly from Microsoft. Can I upgrade my NVIDIA GeForce GTX765M with a later NVIDIA or AMD graphics module? The Razer Blade features a custom GTX765M design that is integrated into the motherboard and does not utilize a removable MXM module. Because of this unique design, upgrades are not available. WiDi is not supported, as it requires an Intel wireless adapter while the Blade/Blade pro feature a Killer n1202 Wireless card. 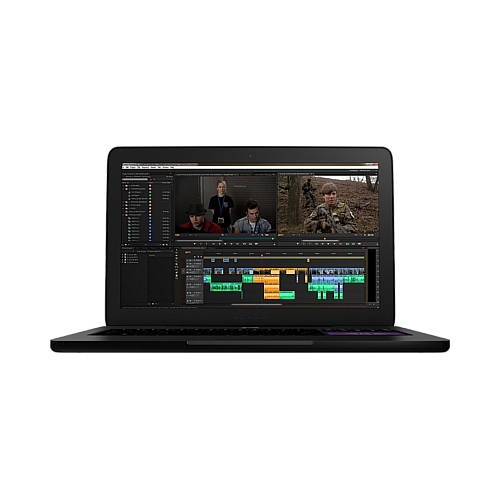 The Razer Blade features two graphics processors (Intel HD and NVIDIA GTX 765M). If you would like optimal performance be sure to set your program to utilize the NVIDIA GTX765M graphics processor.